GCF has an archive of hundreds of recorded sermons available, on a wide range of Biblical subjects and doctrines. You will find this a valuable resource to further your knowledge and understanding of the Scriptures. All sermons and Bible classes at GCF can now be viewed around the world as they are taking place. For all those who are unable to be present with us, this is the best method available to receive the preaching of the Word and feel like a part of the assembly. The written word has always been a powerful means of communicating a message throughout human history. 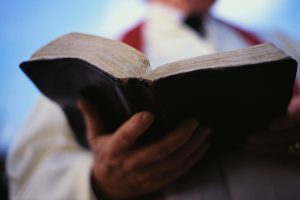 Some of the greatest revivals, and the Protestant Reformation in particular, were sparked by the writing of faithful Christians who stood up for the truth. At GCF, we are working to provide as much information as possible in written form, and we have been printing our own books and tracts for several years. 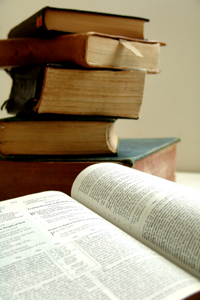 Books are available on various topics, including grace and the Cross, spirituality, and the history and authority of the Bible. Writing is done primarily by Pastor John Ricci. Elder Craig DiPetrillo also works closely with the Publications ministry, providing graphic and technical support, and the production of books and tracts is made possible by faithful volunteers from the congregation. Ecclesiastes 12:1a Remember now thy Creator in the days of thy youth… It is vitally important for parents to begin instructing their children in the knowledge of Jesus Christ and His Word as soon as they are old enough and ready to learn and understand these things. The material provided here is designed to help children 9-12 years old to learn the Scriptures, and to assist their parents in teaching them. Ephesians 6:4 And, ye fathers, provoke not your children to wrath: but bring them up in the nurture and admonition of the Lord. 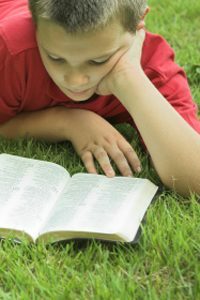 As our children grow, and begin to face the struggles and temptations of the world, it is essential to continue reinforcing their commitment to the Lord and His Word. The material provided here is designed to help children 5-8 years old to learn the Scriptures, and to assist their parents in teaching them. Grace Christian Fellowship provides you with a library of complete studies presented to you through audio and Adobe .PDF notes for your own study group. 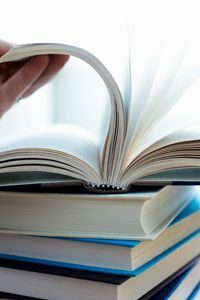 You will find the research as complete and of extreme value to come to the knowledge of understanding the truth of imperative topics of the Christian faith. We also make available to you Pastor John’s notes, his actual rough drafts of his research to prepare several topics of lessons. You will find not only answers through his research, but blessings as a whole. Grace Christian Fellowship and GCF Productions has teamed up to bring to your DVD player a visual impact of study topics for both individual and bible study groups. These short, in depth lessons and reflections will help enhance your view of thinking. Share your copy with your family, friends and study group.